What they’re saying about my books. I’m in the mood to celebrate! Forget Me Not is releasing on May 9, 2017 and is available for preorder on Amazon now. 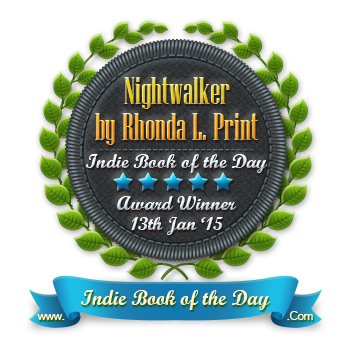 So to celebrate, I’m giving away a copy of my debut novel, Nightwalker: A Leah Wolfe SINS Novel to one person. All you have to do is like me on Facebook and leave a comment at www.RhondaLPrint.com. Winner will be chosen and announced on Friday June 2nd. Oh, and if you love it, share the love with a review! Her life depends on a man she can’t remember.His future depends on a woman he can’t forget.Sarah Hall had everything she wanted in life. A man who loved her, a job she enjoyed and the joyful memories her deceased parent’s had left her with.But when her world comes crumbling around her and even her memories are stolen, will she have the strength to recall her past to save her future. Jake Porter knew he loved Sarah the moment he saw her. Now he just had to convince her.Yet when tragedy strikes and he finds her near death, on the floor of his construction warehouse, both of their lives change forever.Now protecting her is his only priority.When her past catches up with her and everything is at stake, will his love be enough to save them? Thank you for checking out my site and Happy Reading!